The Supreme Court of Canada has announced it will address for the first time the legal jeopardy and financial liability faced by lawyers when their referrals of clients to other service providers turn sour. 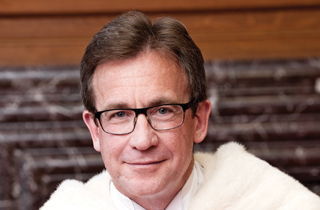 On Oct. 12, the top court granted leave to appeal in the Quebec case of Salomon v. Matte-Thompson — a case of importance to the bar across Canada because it raises issues of lawyers’ standard of care in advising clients, and the nature and scope of their civil liability, when they make referrals to others, such as financial advisers, estate administrators, or other lawyers. No matter how the top court ultimately views the contested facts in the Salomon litigation, the case is a cautionary tale for legions of lawyers who have referred clients to service providers. The court is expected to set out some guidelines for such referrals. The referral in question turned out badly for Montreal lawyer Kenneth Salomon and his firm, Sternthal Katznelson Montigny LLP, as well as for their client, Judith Matte-Thompson, who unsuccessfully sued her ex-lawyers in Quebec Superior Court, but then won at the Quebec Court of Appeal earlier this year. 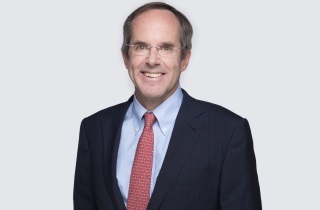 Salomon and his firm are appealing the Court of Appeal’s unanimous decision that holds them liable for the full $6.8 million in losses Matte-Thompson sustained from an offshore hedge fund that turned out to be part of a huge Ponzi scheme that collapsed in 2007 (with interest, the damages are estimated at closer to $8 million). Matte-Thompson invested her money in the fund, after Salomon referred her in 2003 to his own financial adviser and friend, Themistoklis Papadopoulos, a representative of the now-defunct Triglobal Capital Management. Salomon was unaware that Papadopoulos was a fraudster who would eventually abscond with the savings not only of Matte-Thompson, but also of hundreds of other investors. Salomon’s counsel, Doug Mitchell of Montreal’s IMK Advocates, said he is pleased that the Supreme Court has decided to weigh in on the case. “I hope it will allow the Supreme Court to confirm that lawyers cannot be liable for mere referrals to another professional, and that (a) the plaintiffs must still prove that the referral, or the acts of the referring lawyer, must actually be the cause of the loss and (b) repeat and reinforce the accepted notion that courts of appeal cannot, and should not, interfere on findings of fact on causation,” he explained. As is its practice, the Supreme Court did not give reasons for why it granted leave to appeal. Salomon’s successful request for permission to appeal cites only two issues. First, if a lawyer refers clients to, and expresses confidence in, a professional who later commits fraud, in what circumstances should the referring lawyer be held liable for the losses his client incurs as a result of the fraud? Second, in overturning the trial judge’s finding that the lawyer’s referral did not cause the client’s losses, was the Court of Appeal’s reliance on the notion that the trial judge viewed the facts through a distorted lens (“prisme déformant”) in error, i.e. was it was inconsistent with the applicable review standard of palpable and overriding error? The facts surrounding the referral by the lawyer — including whether he was in a conflict of interest — were hotly disputed by the parties in the courts below. The trial judgment indicates that Salomon introduced Papadopoulos to the plaintiffs and recommended that investments be made with the financial adviser. The plaintiffs alleged that Salomon and his law firm failed to disclose a conflict of interest, were negligent, and committed a fault in recommending the investments in an offshore fund. They alleged that the lawyers’ conduct, advice and recommendations violated applicable professional industry standards. For their part, the defendant lawyers responded that they only introduced the plaintiffs to Papadopoulos, who recommended the investments, and that after those investments were made, the lawyers only acted as a conduit between the investors and their advisers. They urged that they did not commit a fault in connection with the loss and that there is not causal link between the losses and the alleged fault. 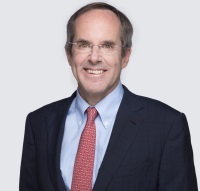 The trial judge found that Salomon did breach his duty to advise his client when he specifically recommended, without exercising due diligence, a particular fund for his client’s initial $100,000 investment in 2003 as offering security of capital. However, the trial judge dismissed the lawsuit on the basis that the lawyer’s recommendation did not cause the respondents’ later losses. The Court of Appeal reversed the court below both on fault and causation. 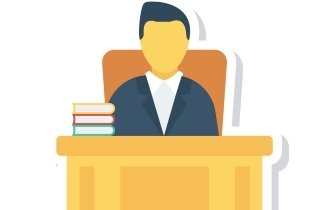 The appellants assert that “every day” in the context of the lawyer-client relationship, lawyers are called upon to refer their clients to other professionals, be they other lawyers or financial advisers, accountants, estate administrators, notaries, or real estate agents. “If one of those professionals — unbeknownst to the lawyer and hundreds of other victims — is revealed to be a fraudster, in what circumstances would the referring lawyer be held liable for the client’s loss,” the appellants ask. The respondents contend in their memorandum of argument that it is already clear when a lawyer will be liable if he or she commits a fault that causes injury to a client.